Berries are known to be some of the most nutritious things on the planet. And elderberries are one of those that you need to include in your diet. If you are wondering why, don’t worry – in this post on benefits of elderberry, we get all your questions answered. What Is The History Of Elderberries? What Is The Nutritional Profile Of Elderberries? What Are The Other Uses Of Elderberries? What Is The Recommended Dosage Of Elderberries? What Are The Side Effects Of Elderberries? Scientifically called Sambucus berries, elderberries (also called elderflower) belong to a genus of flowering plants in the family Adoxaceae. The fruit is found in temperate to subtropical regions in the world. The elderberry tree is more widespread in the Northern Hemisphere, while in the Southern Hemisphere, it is found in parts of Australasia and South America. Several species of elderberries are cultivated not just for the fruit, but also for their ornamental leaves and flowers. The berries turn from green to dark purple as they ripen. You can look for black elderberries as they are the ripe ones. Sometimes, they also appear as red elderberries. Some of the varieties include American elder and the European elder. The history of elderberries is as important to know as well. Sites in Switzerland and Italy tell us that the black elderberry variety could have been the first elderberry to have been cultivated – and, that too, by prehistoric man. In fact, Hippocrates, the ancient Greek who is known as the Father of Medicine, described the elderberry plant as his medicine chest. The fruit is native to Europe and North America. The berries have a long history of being used in folk medicine and are being researched for more than two decades for their medicinal benefits. There is a reason they are being researched – thanks to their varied nutritional profile. Additionally, elderberries can be a great addition to your diet if you are looking for a fiber-rich fruit that can boost your digestive system. A single serving of elderberries is just enough to meet 28% of your daily fiber requirements. These nutrients are what make elderberries worth taking a look at – which is what we will see now. The antioxidants in elderberries contribute to most of their benefits. They boost immunity, protect the heart, and prevent cancer. The berries also improve skin and hair health. The fiber in these berries improves digestion and prevents other digestive ailments. Several studies speak of the ability of elderberries to boost the immune system. One report published by the University of Maryland Medical Center talks about the powerful immune-boosting effects of elderberries (1). The same is true with elderberry syrup as well, which increases antioxidant levels in the body and helps fight disease. The vitamins A and C in the fruit help maintain optimal health. Elderberries also offer protection against viruses that might damage cell walls. The fruit also decreases mucus production during cold and flu, easing the symptoms. And it is one excellent remedy for the debilitating symptoms of influenza, as per a Japanese study (2). Elderberries boost immunity by increasing the production of inflammatory cytokines (3). And this way, they also help treat upper respiratory tract infections and other respiratory ailments. Though research is limited here, elderberries, like most fruits, are good sources of fiber and can enhance digestion. 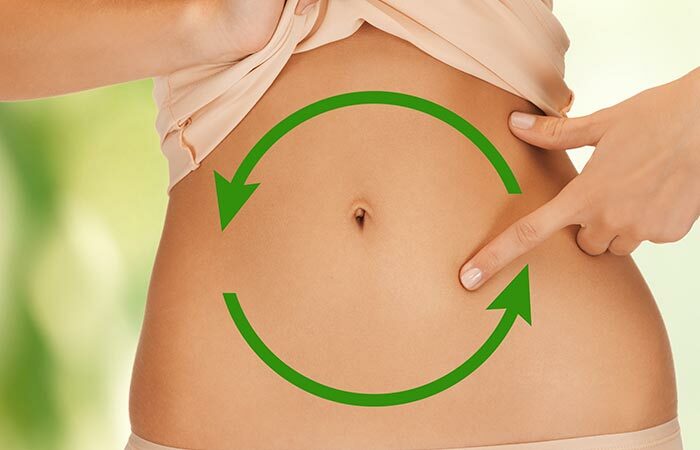 The fiber in the fruit can also treat other digestive issues like constipation, stomach upset, gas, and bloating. Scientists from numerous parts of the world had used elderberries in cancer treatment, with much success. This can be attributed to the quercetin in elderberries – whose therapeutic effects can stimulate the immune system and aid the treatment (4). Other studies show that elderberries can also treat prostate cancer. The berries are known to inhibit a biochemical process called hedgehog signaling, which has been linked to cancer (5). Given that they are rich in potassium (and also they have a great potassium to sodium ratio), elderberries can help regulate blood pressure. They ensure the blood vessels relax. Also, a high potassium diet is known to reduce the strain on the heart. Studies have shown that individuals taking a high amount of potassium (and by this, we don’t mean excess) had a 49 percent less risk of death by ischemic heart disease. Some sources also say that elderberries can help regulate cholesterol levels and even boost circulation (and this offers good exercise to the heart and keeps it in shape). Elderberries also contain beneficial compounds called anthocyanins, which protect the inner layer of the blood vessels from oxidative stress. This protects the cells from inflammatory stressors, ultimately improving circulation and cutting the risk of heart disease (6). And not just elderberries, but several studies have proven time and again that all berries, in general, can have powerful protective effects on the heart (7). Reports suggest that elderberries can help lower blood sugar levels, aiding diabetes treatment (8). However, studies are limited in this regard, and we advise you to talk to your doctor first. The calcium, iron, and potassium in the berries are known to strengthen bones and increase bone mineral density, cutting the risk of osteoporosis as a result. Additionally, the anthocyanins in the berries might prevent bone loss in certain cases (9). As of now, we need more clarity on this. But do consult your doctor. Just like most fruits, elderberries are rich in fiber. And fiber, as we know, improves satiety and can aid weight loss. 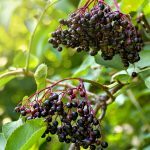 This has been proven by a German study as well – where participants taking elderberry juice enriched with elderberry flower and the extracts saw a significant improvement in weight regulation. Infused with innate anti-aging and free radical fighting properties, elderberries keep your skin radiant for longer periods. Furthermore, they also act as a natural detoxifying agent and help prevent distressing skin conditions like breakouts, boils, and scars. The anthocyanins in elderberries (the compounds that give them their characteristic red color) were found to give a natural boost to your skin’s health. This compound also protects against skin damage (10). In fact, distilled elderberry flower water is known to restore skin health and lighten the freckles (11). Applying the fruit extract can also reduce inflammation and bruising. The extract can help treat herpes as well. The antioxidants in the berry can fight the herpes virus and give relief. The berries work great for your hair as well. You can take some elderflower oil (you should be getting it in the market) and mix it with some of your other favorite oils. Apply on the problem areas of your scalp. The serum can treat split ends, problematic hairlines, and might even encourage hair growth. Being rich in vitamins A and B6, elderberries can help prevent serious vision ailments like glaucoma and macular degeneration. The antioxidant activity of elderberries also helps ensure vision health in the long run. Though there is very limited research on this, certain sources note that infusions of elderberry juice can help reduce inflammation in the urinary tract and treat urinary tract infections. Numerous studies talk about the anti-inflammatory properties of elderberries. In fact, the berries have even been used to treat eye inflammation. Another study states how anthocyanins in elderberries can help fight inflammation (12). They achieve this by fighting oxidative stress. One study talks about how the anthocyanins in berries (including elderberries) can help treat cognitive impairment and the resultant conditions like Alzheimer’s (13). Elderberries are also replete with quercetin, which is an important flavonoid critical for brain health. Quercetin reduces the harmful inflammation at a cellular level. It also activates the mitochondria in your cells – which are powerhouses that boost cell health. That’s with the benefits. But there are other ways you can use elderberries. The berries can be used to prepare teas, tinctures, wine, jams, and syrups. Elderberry wine is a popular add-on to meals. The flowers of the elderberry plant are used to make jelly. They can also be used in baking. The elderberry flowers are also used internally for treating influenza and skin irritation. We know you want to take elderberries right away, seeing these benefits. But there is something else in store for you. Ensure you pick berries that are firm and have a deep color. Avoid those that are mushy or bruised. Remove the mushy or moldy berries, if any, from the lot – and then store them in the refrigerator in their original packing for about a week. Wash the berries before you use them. What would you do once you have picked the right berries and stored them properly? 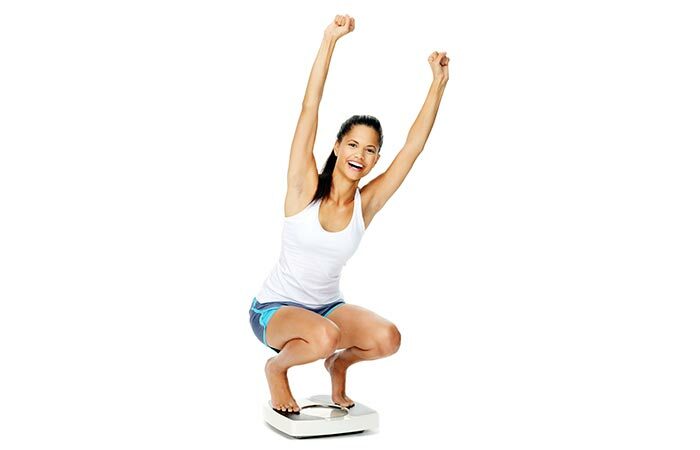 You would incorporate them into your diet – which is quite simple. You can either add them to your salad or pancakes and honey. Or you can eat them whole. Even elderberry juice or smoothie would be a great start. We have something that’s getting popular by the day. Making elderberry tea is quite simple. Firstly, add water and elderberries to a saucepan. You can also add turmeric and cinnamon. Let the liquid cool. Strain the berries using a strainer. Your tea is ready. You can also make the tea by boiling 3-5 grams of elderflowers in 250 mL of water. Or if you are using the bark, take one teaspoon of it and add to half a cup of boiling water. And yes, you can try these sumptuous elderberry recipes as well. Except for honey, place the other ingredients in a pot. Bring it to a boil and reduce to a simmer for about an hour. Remove the pot from the heat. Using a mesh sieve, strain the liquid. Transfer the liquid to a jar and stir in a cup of honey. Keep the jar sealed in the fridge for about a couple of weeks. Place the elderberries in a pot containing 2 cups of water. Bring to a boil. Simmer for 10 minutes. Remove from the heat, puree in a blender, and bring it back to the pot. In a bowl, mix the cornstarch with a tablespoon of the puree and stir into the pot to thicken. In a separate pot, bring the apples and the remaining water to a boil. Place the lemon peel inside the pot. Simmer for 10 minutes. Remove the peel, mix the elderberry puree with the apple mixture, and add sugar. These recipes are sure to taste great. And will definitely make a healthy snack as well. But wait, how many elderberries can you have in a day? Though there is not enough information with respect to regular dosage, for treating conditions like influenza, you can take 15 mL of elderberry syrup 4 times a day for 5 days. For kids suffering from flu, the dosage is 5 mL of elderberry extract, twice a day. And for adults, it is 10 mL, twice a day. You can also have 4 elderberries for 48 hours without the risk of any side effects. An elderberry can grow in the form of a shrub or a small tree. An elderberry tree produces 12-15 pounds of berries in a year. In the European countries, the elderberry fruit is used in the manufacture of wine and brandy. 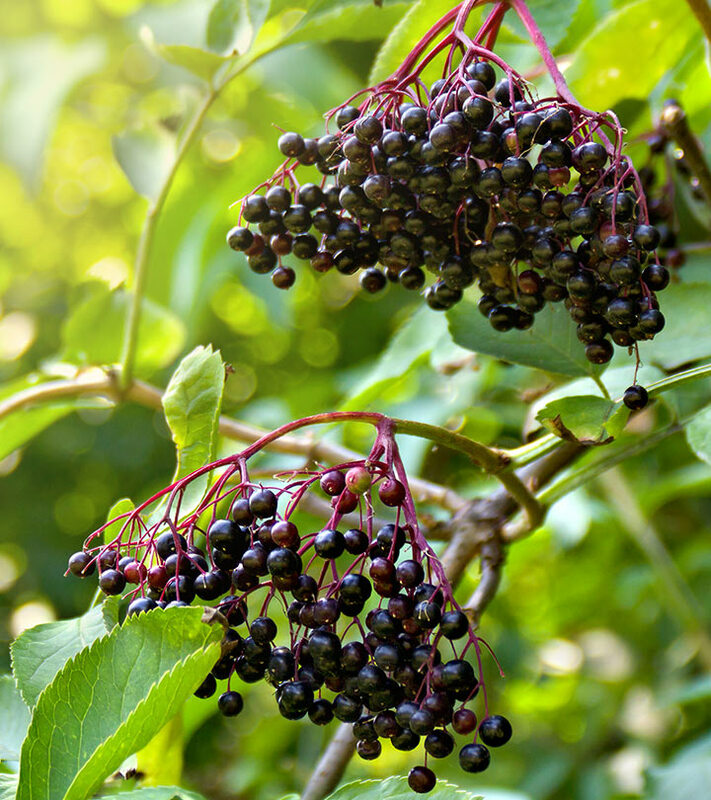 Elderberry is a perennial plant that can survive for 80-100 years in the wild. Crushed elderberry leaves release an unpleasant smell, and these can repel flies. Now to another important question – where can you get your elderberries from? You can pick your berries from the neighborhood supermarket. Or even procure them online at Amazon or Walmart. Or you might also want to take elderberry supplements. Certain supplements are known for their Good Manufacturing Practices, wherein the manufacturers ensure no chemicals go into the production of the organic supplements. Please consult your doctor for more details. Elderberries, just like all berries, taste great and are extremely beneficial. But then, they have certain side effects as well. Consuming elderberries when they are raw and unripe might cause nausea and vomiting. In certain cases, it might also lead to severe diarrhea. The berries might cause the immune system to become more active, so much that it might even cause autoimmune diseases – where the immune system attacks the body. Some of the autoimmune diseases include multiple sclerosis and rheumatoid arthritis. We have less information on the safety of elderberries during pregnancy and breastfeeding. So stay safe and avoid use. Though we have specifically spoken about the benefits of elderberries in this post, we suggest you include all types of berries in your diet. Also, tell us how this post on benefits of elderberry has helped you. Do leave a comment below. Fresh elderberries usually have a tart taste. They taste sour and acidic or somewhat like a lemon. The seeds, leaves, stems, and roots of elderberries contain a cyanide-inducing glycoside, which might make one extremely ill. Take precautions and consult your doctor before taking any of these for medical reasons. Elderberry bushes are poisonous. The elderberry bark might also be poisonous in high amounts – however, it has strong laxative effects. Check your soil pH first (you can contact your local County Extension Office) for this purpose. The pH must be between 5.5 to 6.5. They grow best in fertile, moist, and well-drained soil. You can pick a location with full sun. Plant elderberries at least 8 feet apart in rows 10 feet apart. Ensure you water the plant thoroughly. And no fertilizers in the first year. “Elderberry”. University of Maryland Medical Center. “Anti-influenza effects of elderberry juice…”. US National Library of Medicine. “Berries: emerging impact on cardiovascular health”. US National Library of Medicine. “The effect of Sambucol…”. US National Library of Medicine. “Elderberry showcase”. University of Missouri. “The role of antioxidant rich berries…”. University of Arkansas. “The elderberry way to perfect skin”. ScienceDaily. “Black elderberry extract…”. US National Library of Medicine. 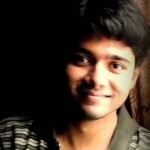 “Nutraceuticals in cognitive impairment and…”. US National Library of Medicine.